Bone builder provides the essential building blocks for strong, healthy bones and teeth. A nutritional supplement containing calcium and phosphorus in a balanced ratio, that can be added to home-prepared meat, soy and fish-based diets, which are likely to be deficient in these minerals. -- Maintains the strength of bones and teeth. 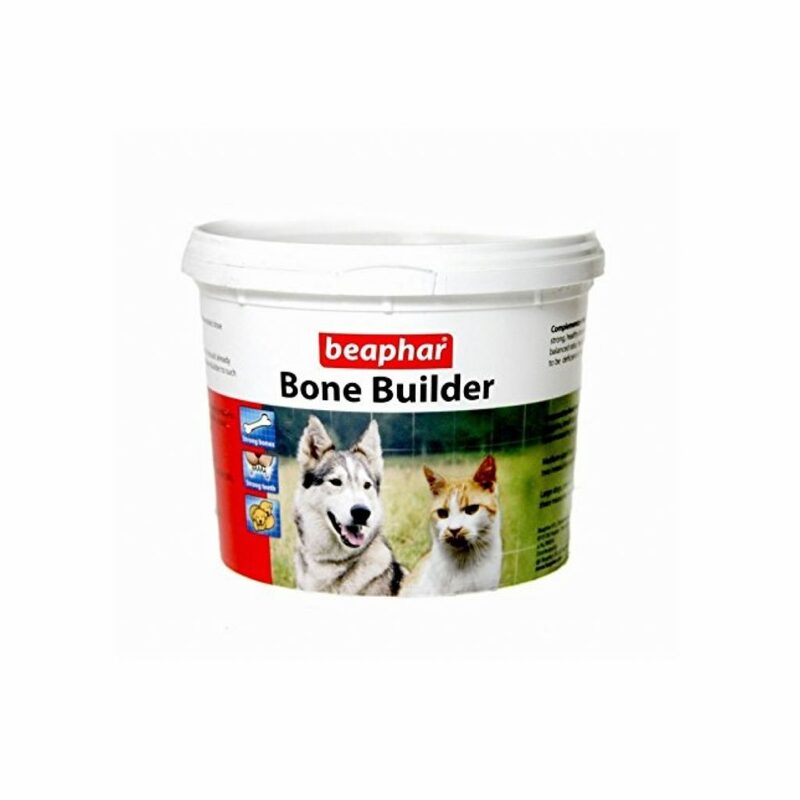 -- Prevents bone related problems such as rickets and dysplasia. -- Helps to reach an optimal weight. Ingredients: Dicalcium phosphate, calcium carbonate, calcium lactate pentahydrate, magnesium oxide, yeast. Calcium - (26% w/w), Phosphorus - (11.7% w/w), Crude Ash - (66% w/w), Crude Protein - (2.1%), Moisture - (14%w/w), Crude Fiber - (0.1%w/w). Directions For Use: To be sprinkled over and mixed into food. -- Puppies, small dogs & cats - one measuring spoonful. -- Medium-sized dogs - two measuring spoonfuls. -- Large dogs, pregnant or nursing females - three measuring spoonfuls.